Aerial view of Carolina Yard in Chesapeake, VA, photo submitted by P.P. Coulter Jr.
-- No. 3, March 1, 1970 - said to be the last one before the Southern acquisition. -- More to be added as they surface. 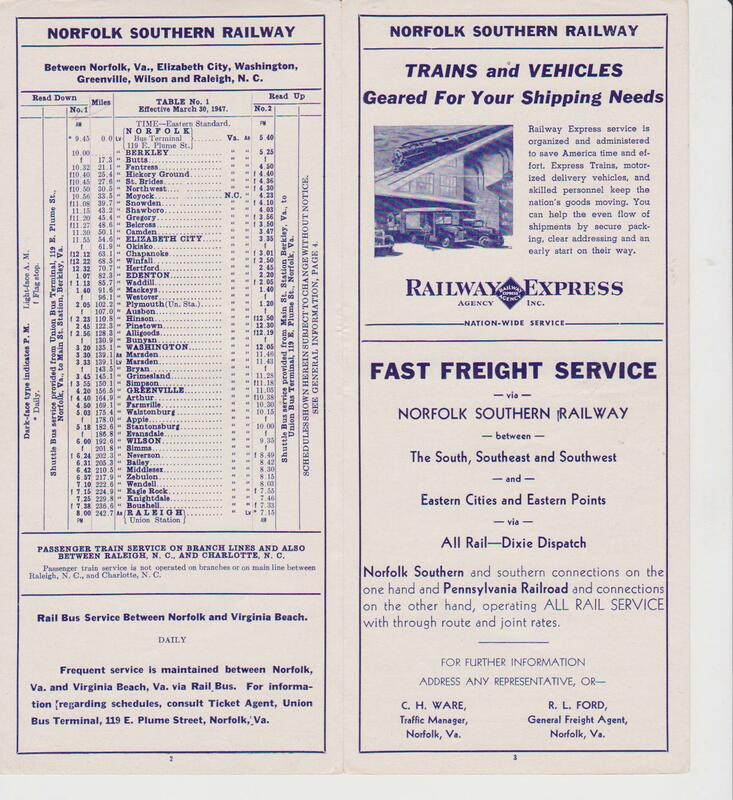 January 20, 1870 - The Elizabeth City & Norfolk Railroad is chartered. 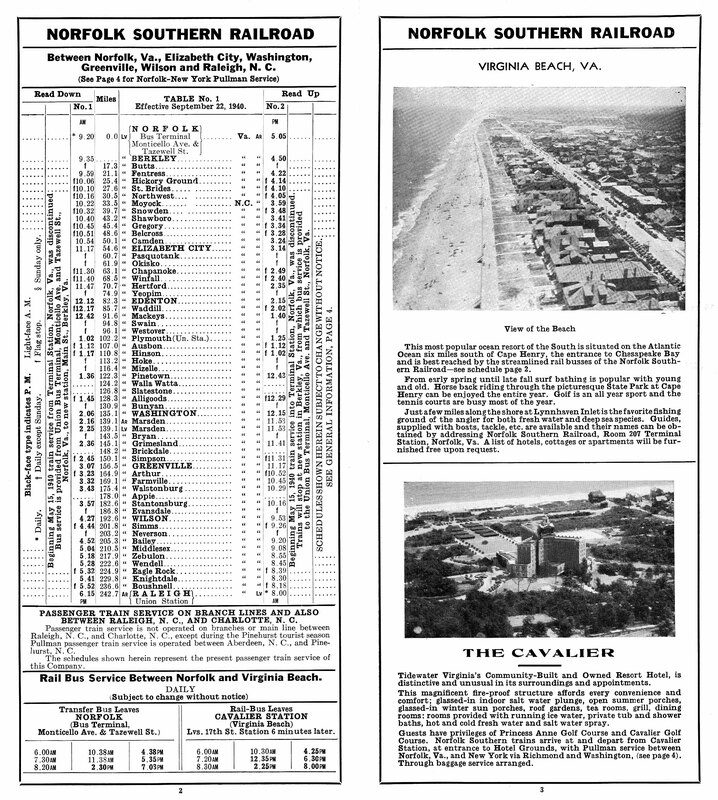 1881 - The line opens running from Berkerly, VA to Elizabeth City and on to Edenton, NC. 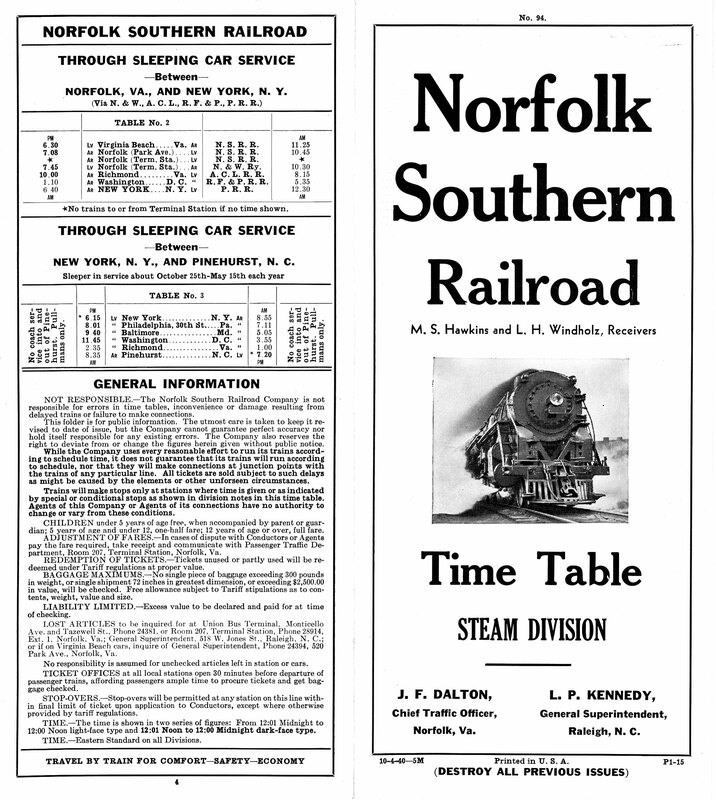 Febuary 1, 1883 - Name changed to the Norfolk Southern Railroad. 1910 - Albemarle trestle is built thus ending 8 years of carfloat ferry operations from Edenton to Mackey, NC. 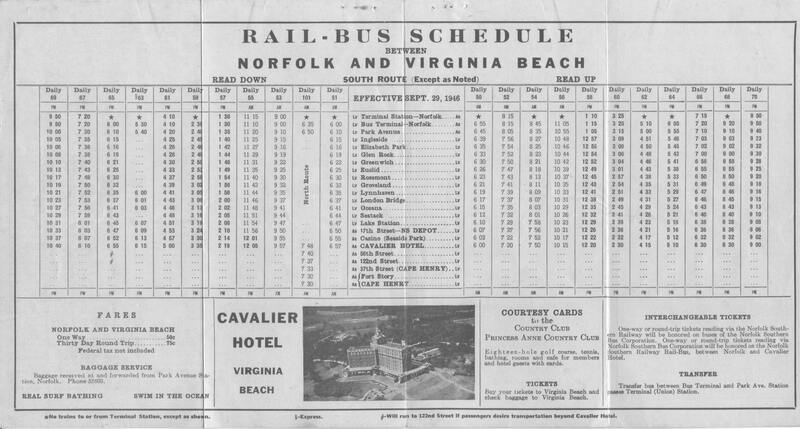 1914 - NS builds a line from Varina on the former Raleigh & Southport Railway to Colon and from Mount Gilead to Charlotte creating a continuous line from Norfolk to Charlotte. May 27, 1920 - NS leases the Durham & South Carolina Railroad gaining access to Durham. The connection from Bonsal to Duncan was built around this time. 1937 - Norfolk Southern retires the last American Standard type (4-4-0) steam engine, #52. 1940 - Norfolk Southern receives last steam engines, 5 Berkshire type 2-8-4, #600-604 from Baldwin Locomotive Works. 1941 - NS retires the last locomotive in wheel arrangement 2-6-0, #116. 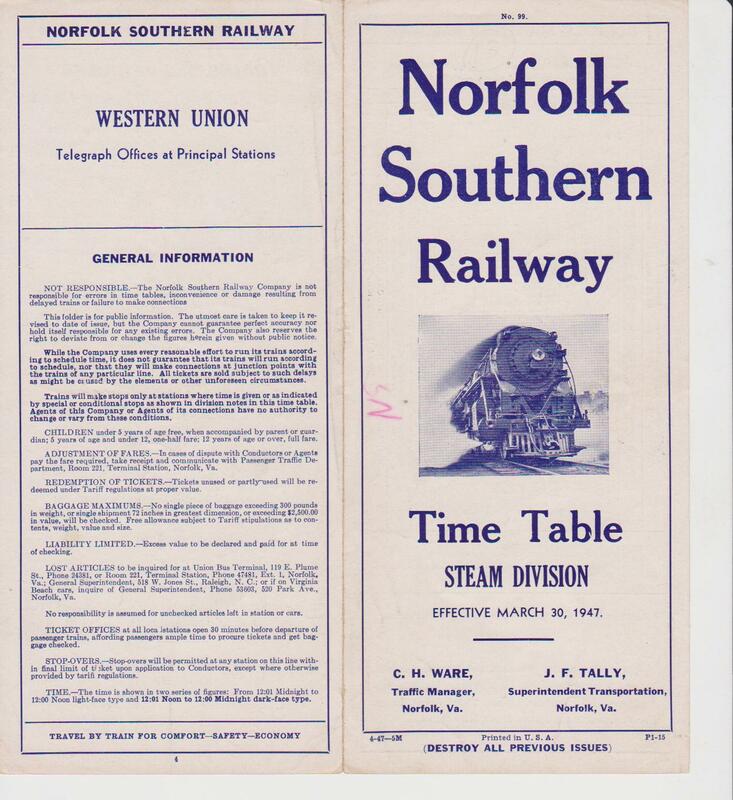 January 21, 1942 - Company was reorganized for the last time as the Norfolk Southern Railway. December 30, 1946 - #661, the first of three diesel yard switchers arrives, thus beginning the dieselization of the Norfolk Southern Rwy. 1948 - NS sells 2-8-0 #203 to the Atlantic & Western. Today this is the sole remaining NS steam engine on display as A&W #12 in Sanford, NC. At the end of 1948, there were 31 steam locomotives and 18 diesels. 1950 - Controversial sale of the 600-series steam locomotives to the Domestic & Foreign Commerce Co. of Washington, DC. Later to Mexico (NdeM). 1951 - First year that diesel locomotives outnumber steam, 23 to 21. January 12, 1954 - Last steam locomotive to operate in revenue service. Morning yard job 2-8-0 #538 at Glenwood Yard in Raleigh. January 29, 1954 - NS retires all steam locomotives following the receipt of three additional diesel locomotives, #1611, 1612, 1613. Diesels roster totalled 31. 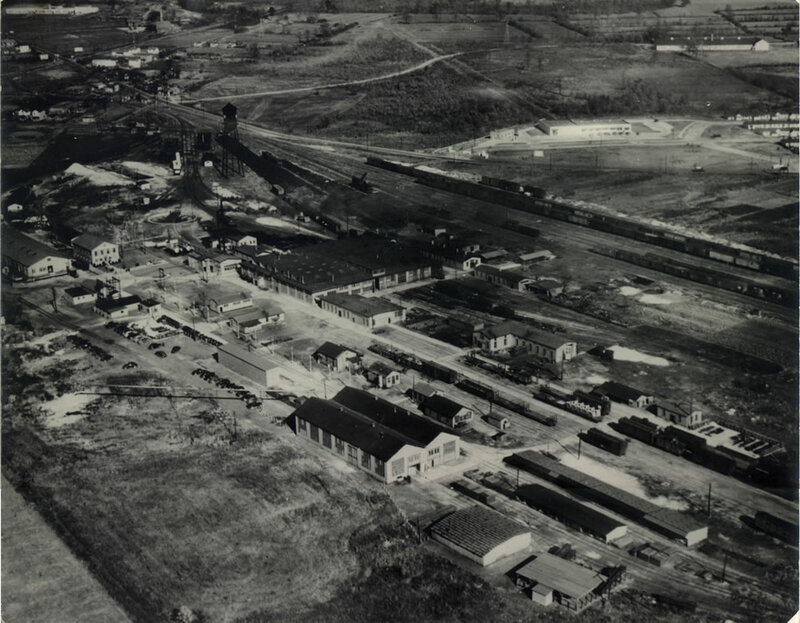 September 29, 1961 - NS moves headquarters from Norfolk, VA to Raleigh, NC. January 1, 1974 - Norfolk Southern merges into the Southern Railway system after the Southern buys the NS. * Patrick B. McGinnis served as Chairman of the Board during this time with Washington D.C. promoter, Joseph T. Kingsley. He later went on to Central of Georgia Railway for a while, then to the New York, New Haven and Hartford Railroad and later President of the Boston and Maine Railroad.